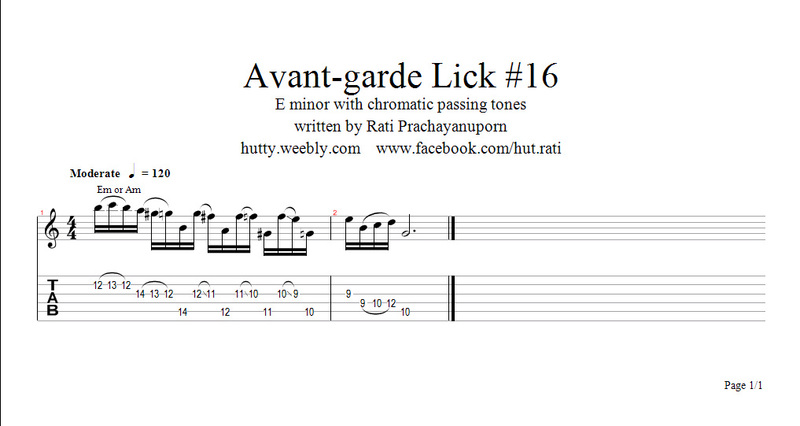 This lick is in the key of F# minor. I start with octave (F# on 4th & 1st string) and then slide down 1 step. Then I play fifth interval E & B (on 4th & 2nd string) and the slide down to another note from F# minor scale. 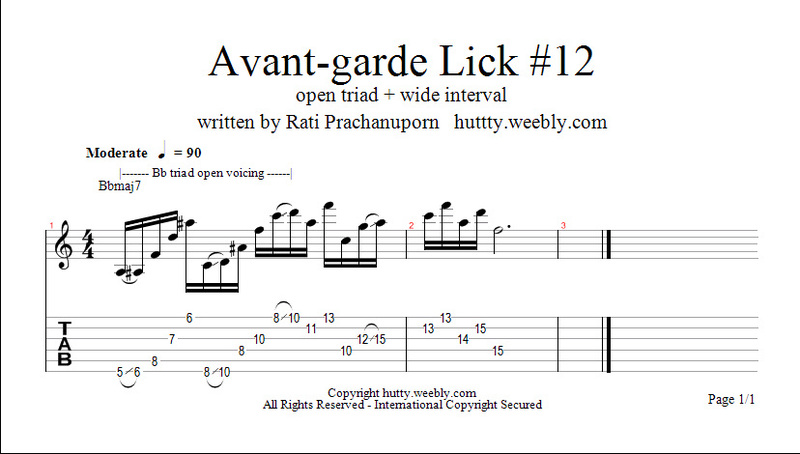 And I alternately use these 2 patterns, then I finish the lick with A open triad. 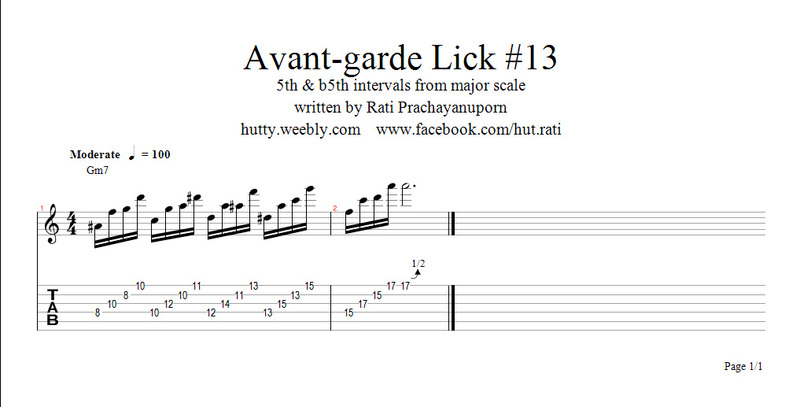 This lick is in the key of G minor. I start with Bb and F which is a perfect 5th interval in Bb major scale (relative scale of G minor scale) and then play another perfect 5th interval from 2nd string which are G and D.
Then move the pattern to next position along the neck and this position you'll find perfect 5th (C & G) and diminished 5th (b5th) interval (A & Eb) and so on. In the beginnig of this lick, I use open voicing of Bb major chord in root position and connect to the 1st inversion postion. And then use string skipping technique to create wide interval around G minor pentatonic and Bb major pentatonic scale shape. I use string skipping technique in the first half of the lick, and then I play 4-note sequence idea for the rest. I play major scale in 6th interval. The 3 pairs of 6th interval and one slided note result in 7 notes pattern. and then move the patterns major fourth higher. For the right hand, I use 'down stroke - middle finger - ring finger' pattern. 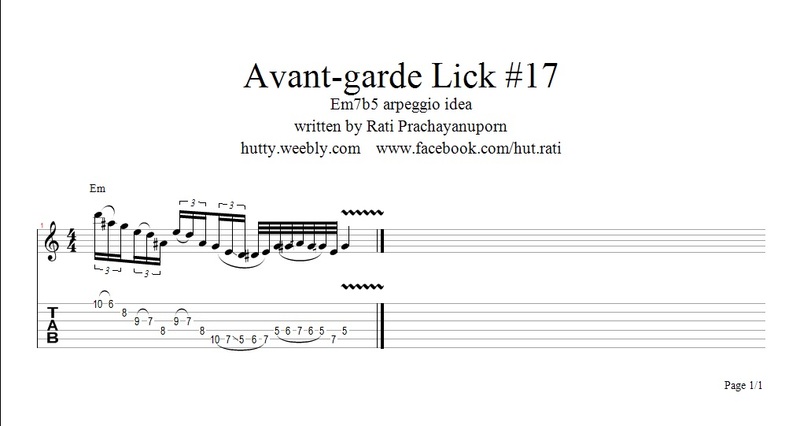 Use these licks in your playing or to inspire you to create some of your own!